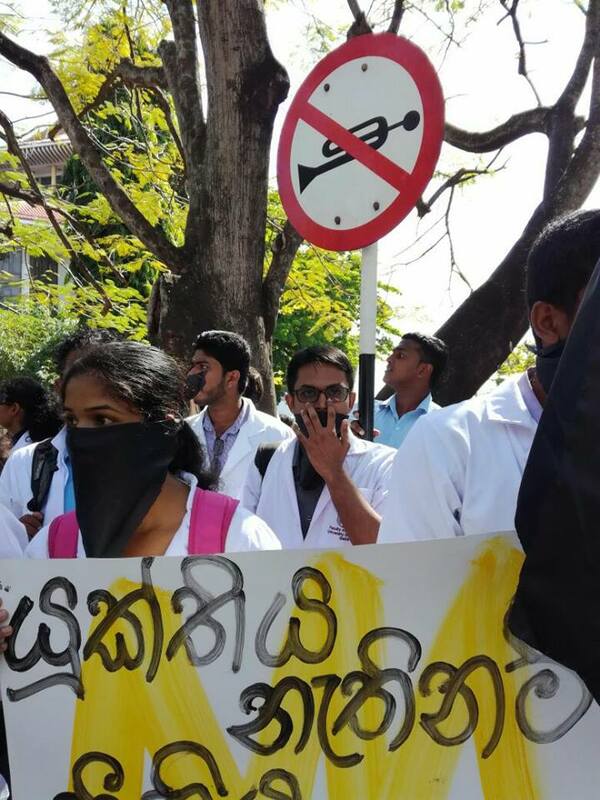 The Court of Appeal directed today (31st) that students who pass out of the SAITM private medical school at Malabe should be registered as professionals of the Sri Lanka Medical Council. 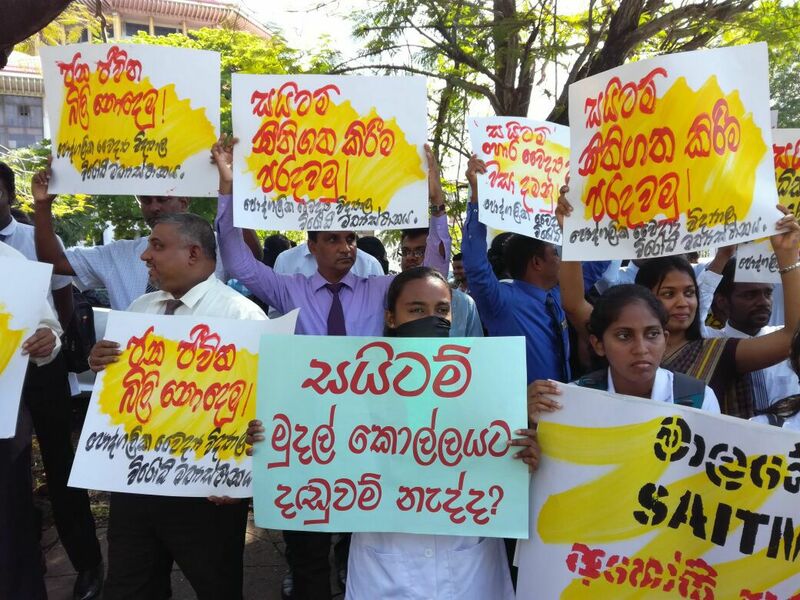 The direction was given after a writ petition filed by two students who had studied at SAITM degree selling private medical school at Malabe was inquired today. 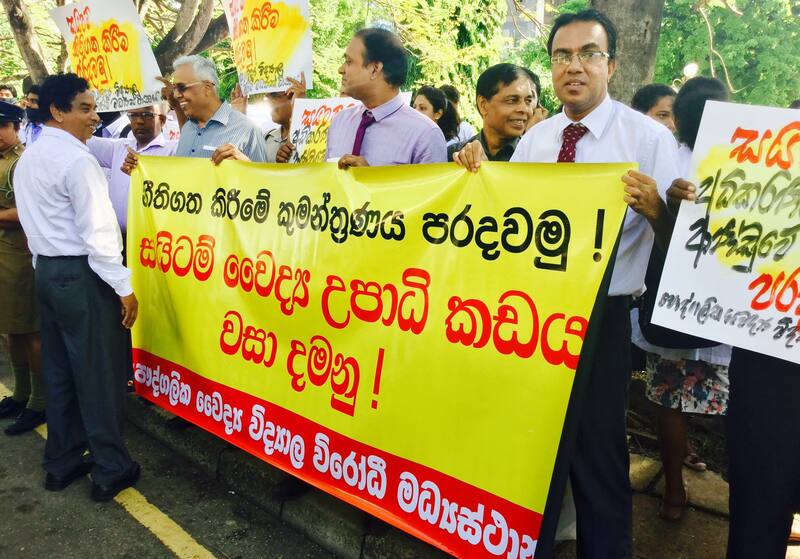 Appeal Court Judges Vijith Malalgoda and S. Thurairaja heard the petition. 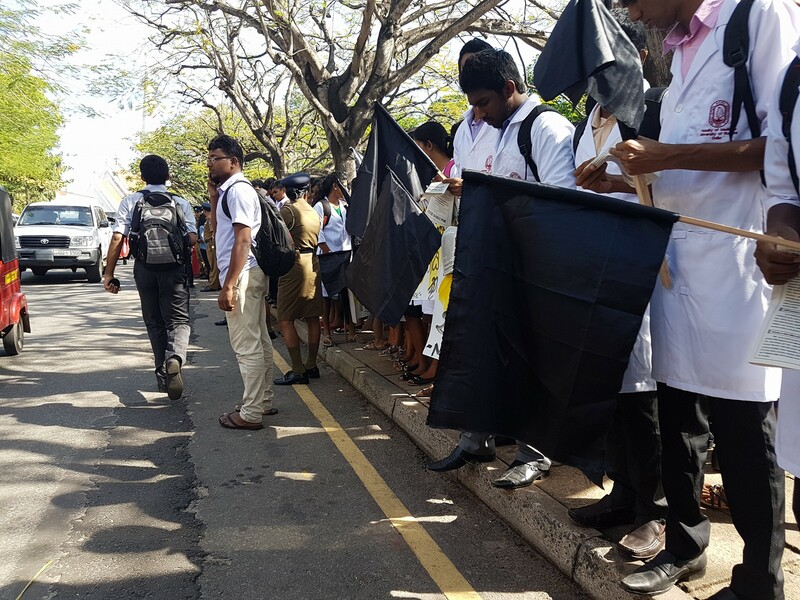 Sri Lanka Medical Council, the Minister of Higher education, the Secretary to the Ministry of Higher Education had been named as respondents. 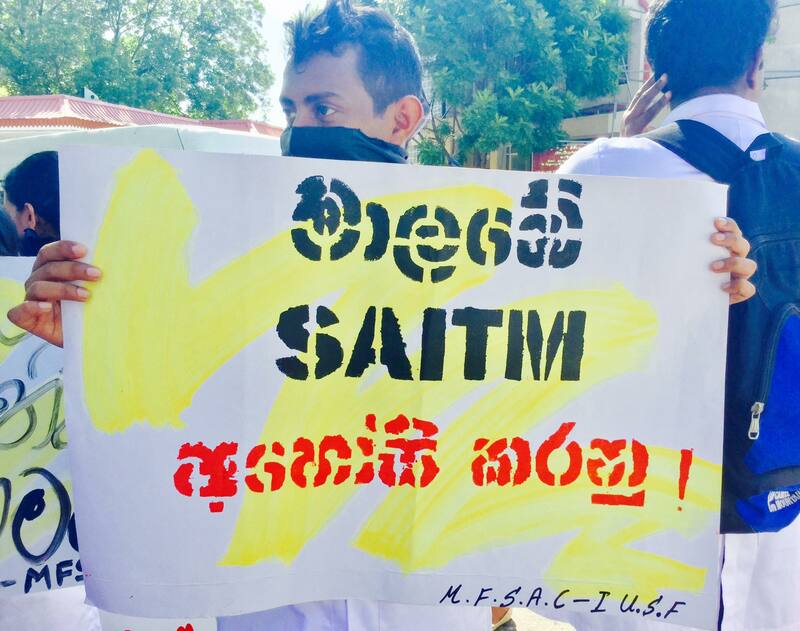 Meanwhile, a silent agitation demanding the authorities to immediately abolish SAITM degree selling private medical school at Malabe was held opposite Courts Complex at Hultsdorf today organized by the Centre Against Private Medical Colleges. 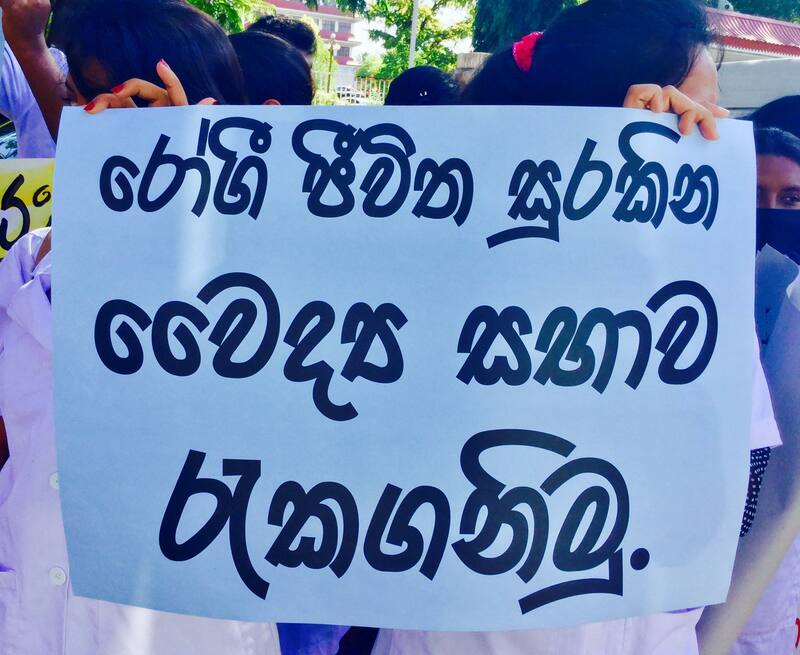 They have organized another protest action opposite the National Hospital in Colombo today afternoon. 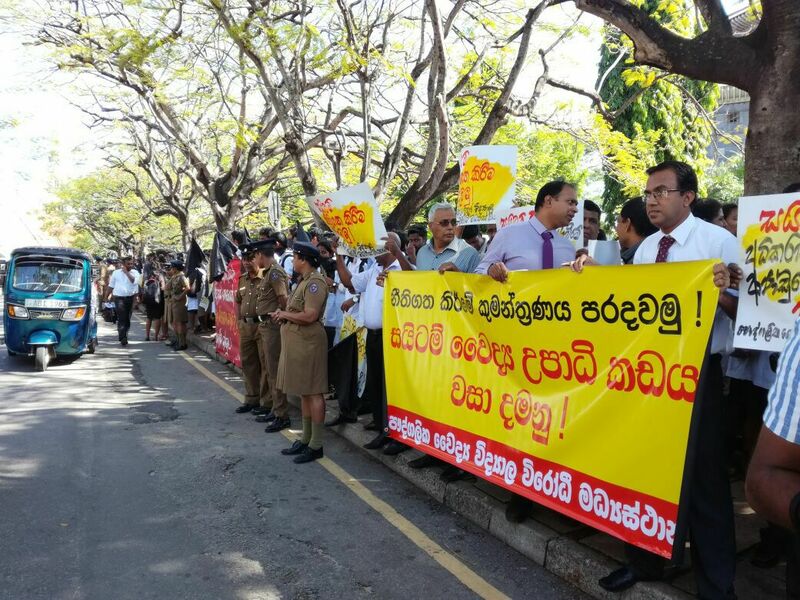 The Minister of Higher Education Lakshman Kiriella made an indication in Parliament recently regarding the decision given in Court today. The Minister said all should honour the decision that would be given today. A luxury restaurant said to be owned by a son of a powerful minister in the yahapalana government was declared open by President Maithripala Sirisena yesterday (30th). Minister Wijedasa Rajapaksa and his wife too joined Mr. Sirisena in cutting the ribbon to open the restaurant. 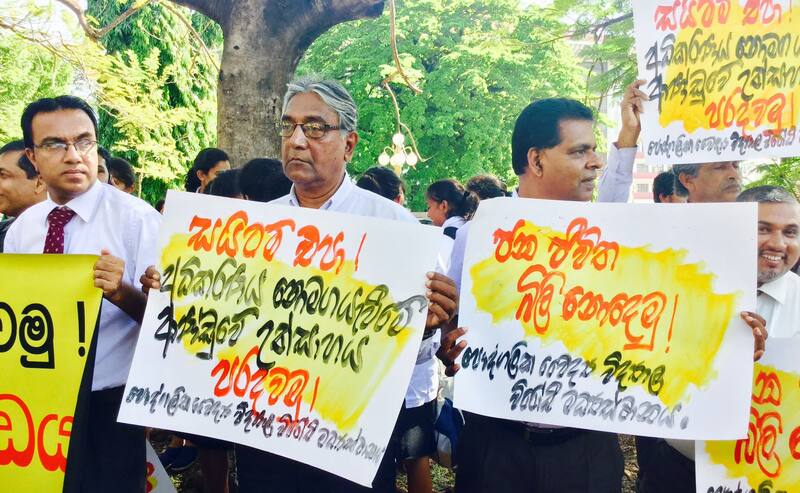 Among the invited guess for the opening ceremony were the head of controversial Avant Guard Nissanka Senadhipathy, Ministers Harin Fernando and Vajira Abeywardene, Deputy Speaker Thilanga Sumathipala and President’s son Dham Sirisena. 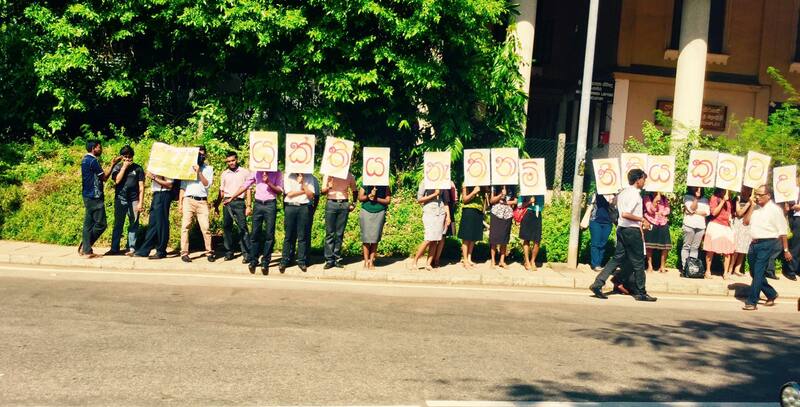 It is significant to note that the names of ministers Wijedasa Rajapaksa and Vajira Abeywardene were mentioned when Avant Guard transaction was discussed in the society. The Speaker Karu Jayasuriya was seen visiting the restaurant later.